How do I deal with or handle the insurance companies and my medical provider? How do I navigate the medical billing madness? How do I get the medical treatment I need now and in the future? What are my rights and how do I protect them? You can find yourself overwhelmed, to say the least. Our Summerville attorneys understand what you are going through and would like to help. Unique issues and special considerations involved in a semi-truck or big rig accident are much more complex than standard passenger vehicle accidents. These cases can become very complicated and a quick investigation where evidence is gathered is essential so that the evidence that can benefit your case is not destroyed or lost. Because of this, it is important for you to retain an experienced Summerville truck accident lawyer. There are numerous federal and state regulations that truckers driving in or through Summerville, South Carolina must abide by, and we know them well. For example, they are required to carry insurance that has much higher standards than Summerville, South Carolina car insurance holders. These are only a small portion of the guidelines that regulate the trucking industry. To make things even more complicated, there are times when the truck driver is not the only one at fault. Additional parties, other than the driver, are often times found responsible and share responsibilty in the financial compensation. The good news is that if an at-fault semi-truck driver injures you, you have better odds of receiving a fair settlement than a person injured as a result of a “standard” car accident. 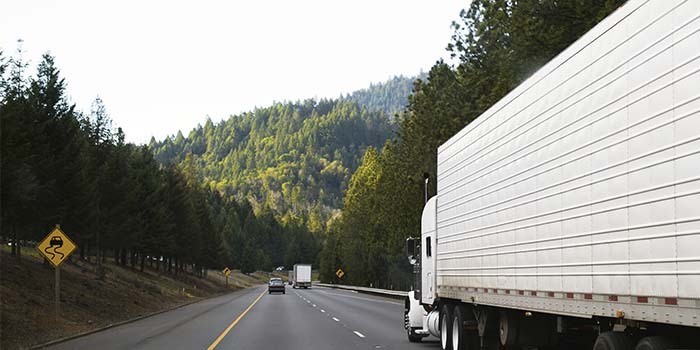 In South Carolina chances are that in a trucking accident, the truck driver or trucking company has violated one or more ordinances or statutes. It is the job of our truck accident lawyers to search for and prove this. When proof of a trucking violation is determined, a settlement is much more likely outside of court. If not, your odds of winning in a trial are higher, and our team of truck accident attorneys is experienced in trial cases. Your truck wreck attorney must know the ins and outs of all possible South Carolina trucking violations for a stronger case. Did you know that 18 wheelers and tractor-trailers have black boxes in them, much like commercial airplanes? This box records significant data from the vehicle that can be used to determine what the truck driver may have done wrong. This data can be destroyed, so this evidence must be preserved in a very timely manner. Additional investigations include a close look at the driver’s history and the trucking company who employs the driver. This can determine the safety practices of the company, the driving record of the driver, training history, and the company’s hiring procedures. This information can really make a difference in your case and will be obtained by South Carolina lawyers who know what they are doing. Commercial trucks are vital to our economy. Accidents resulting from negligence or reckless driving and must be avoided. Very commonly, those involved in a collision with an 18 wheeler are very seriously or fatally injured. This is exactly why truck drivers and companies who employ them must pay very close attention to the safety rules. If they decide to break them, we are all at greater risk of facing a preventable serious injury or death on the South Carolina Interstates. Let’s do our part in making sure they follow the rules. Call us today for a free consultation about your case.